THE FISHING: For a world-class freshwater fishery, the Santee Cooper lakes in South Carolina are as accessible as it gets. Interstate I-95 crosses Lake Marion and I-26 flanks the twin-lake system to the south. The lakes are connected by a 7-mile-long diversion canal, which provides another unique fishery. Lake Marion’s 102,400 acres of water are a timber-studded, aquatic vegetation-laden fish factory, while Lake Moultrie’s 59,900 acres have an incredible diversity of underwater cover and structure. This twin-lake system provides unmatched freshwater diversity. Marauding striped bass provide surface-schooling triple-digit catches per boat in peak season. The state record blue catfish was taken in 2017 and topped 113-pounds. Catfish in the 50- to 70-pound class are reasonable targets, and the big-fish population is on an upsurge. The system currently holds the world record channel catfish at 58-pounds. Need more? Crappies are abundant and commonly exceed 2 pounds, with 3-pound-plus fish distinctly possible. The system holds state records for black crappie at 5-pounds, largemouth bass topping 16-pounds and the former world record shellcracker that tipped the scales to 5 pounds, 7 1/2 ounces. 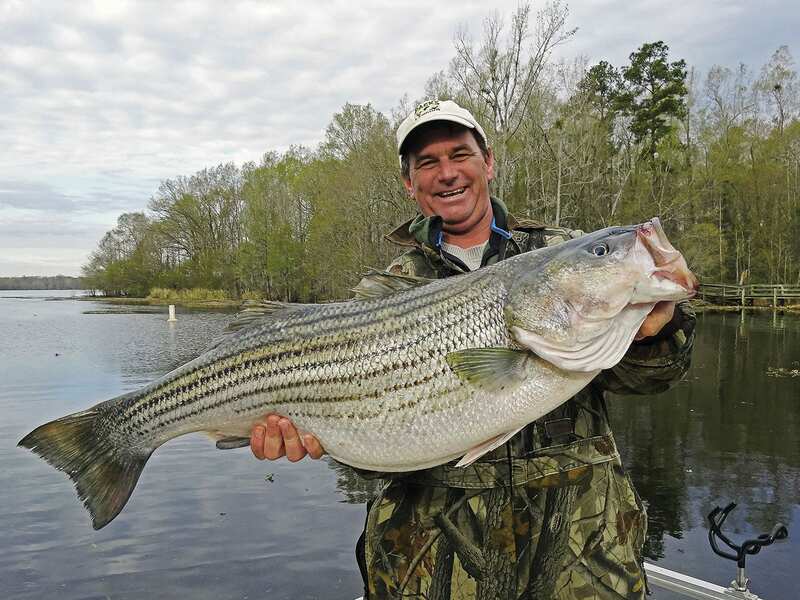 Santee Cooper is the living legend of freshwater fishing.